Thursday we returned from a trip to see our son, daughter-in-law and grandson in Scotland and to do a quick tour of Iceland. Teaching Ansel to use a ruler. 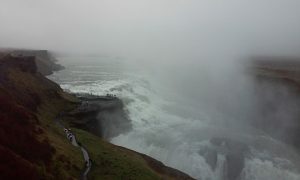 The weather wasn’t the greatest and I was constantly bothered by sciatica meaning that I could not walk or stand much. 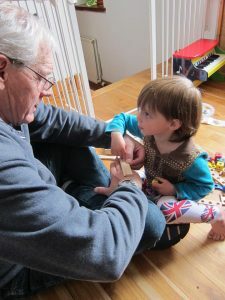 However, it was a great pleasure to spend a week with the family, especially the three year old grandson. He’s great fun! The photo is by his mother, Kat. Derek and his family live in a house on the sea wall of an old fishing village called Cellardyke, overlooking the North Sea. Very picturesque. After a week with them, we flew to Iceland. It’s easy to stop over there on the way back to Denver. My wife, Laurie, had found a nice hotel in the Reykjavik town center. Even with my sciatica I could walk to see the sights and eat without much problem. 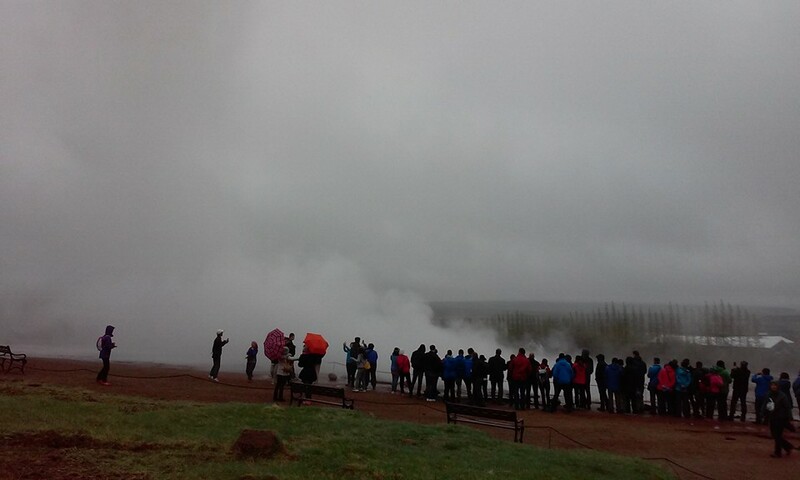 We took a tour bus one day and saw a geyser at the Geysir Park and Gullfoss (golden falls) waterfall which is beautiful and powerful. We also toured a greenhouse which grows vegetables getting heat and power from geothermal heat. We visited a site where the North American Tectonic Plate rubs against the European/Asian Tectonic Plate. There were very visible rifts and cliffs in the lava there. It also contained the spot of the Icelandic Parliament which was the earliest European parliament. It was sunny the day we got there. Overcast Reykjavik the next two days. Because Iceland is so far North, it was never totally dark at night time. You can see from the pictures that it was rainy and foggy on our tour. I’m glad we did the stop at Iceland and, of course, to visit Scotland and family there. Hope that my health continues to allow me to travel. An ideal vacation with a few weather exceptions… family visiting esp. with grandchildren, sightseeing, natural beauty and decent health! Glad you had such a wonderful opportunity after your rough spring. Where is the picture of you in a kilt Cy? Hope you had a great time. Thanks Ronny, Had a good time overall. Did not try on a kilt!